the tea bud and the two tender leaves are plucked by hand. The Story of tea began in ancient China over 5,000 years ago, the Emperor Shen Nong, who was a skilled ruler, creative scientist, and patron of the arts discovered this wonderful herb.Emperor Shen Nong who was boiling water when the leaves from a nearby plant Camellia sinensis floated into the pot. 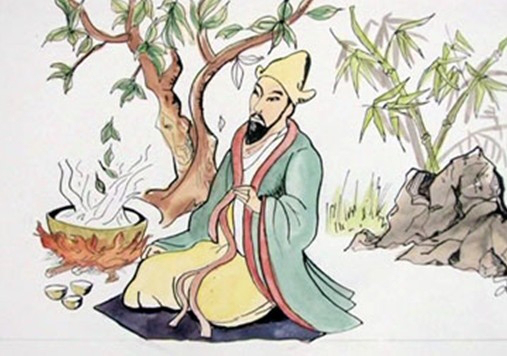 The emperor drank the mixture and declared it gave one “vigor of body, contentment of mind, and determination of purpose” perhaps as testament to the emperor’s assessment, the potion of tea he unwittingly brewed is today, second only to water in consumption! 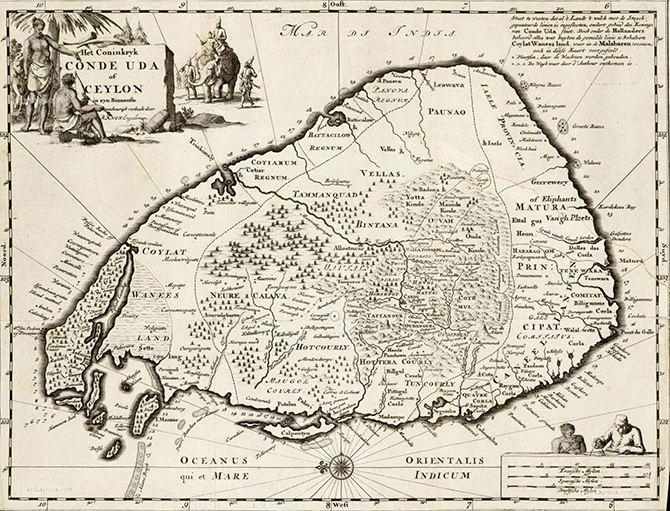 Until the 1860’s the main crop produced on the island of Sri Lanka, was coffee. But in 1869, the coffee rust fungus, killed the majority of the coffee plants and estate owners had to diversify into other crops in order to avoid total ruin. The owners of Loolecondura Estate had been interested in tea since the late 1850’s and in 1866, James Taylor, a Scottish national, was selected to be in charge of the first sowing of tea seeds in 1867, on 19 acres of land. James Taylor had acquired some basic knowledge by experiments in manufacturing, using his bungalow veranda as the factory and rolling the leaf by hand on tables. The Firing of the oxidized leaf was carried out on clay stoves over charcoal fires with the leaf on wire trays. His first teas were sold locally and were declared delicious. By 1872, Taylor had a fully equipped factory, and, in 1873, his first quality teas were sold for a good price at the London Tea Auction. 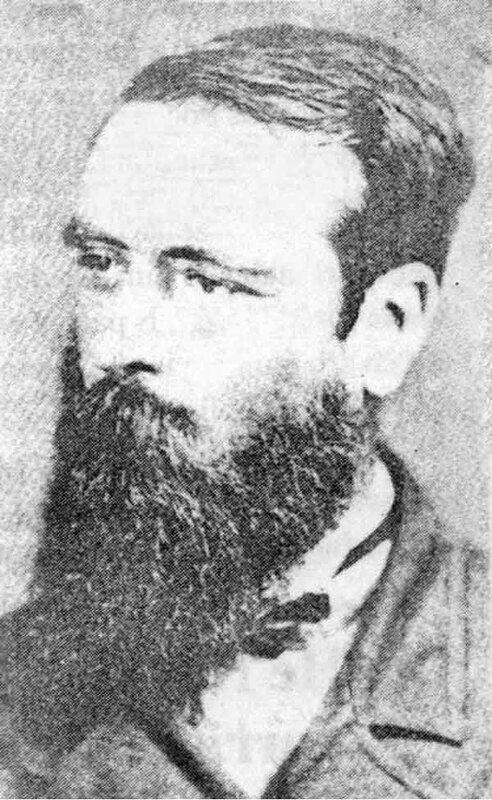 Through his dedication and determination, Taylor was largely responsible for the early success of the Tea crop in Ceylon. Tea comes from the Camellia family and there are two main species of the tea bush; Camellia Sinensis that originates from China and Camellia Assamica that originates from India. There are also numerous hybrids from the above two species which have been developed to suit different conditions. 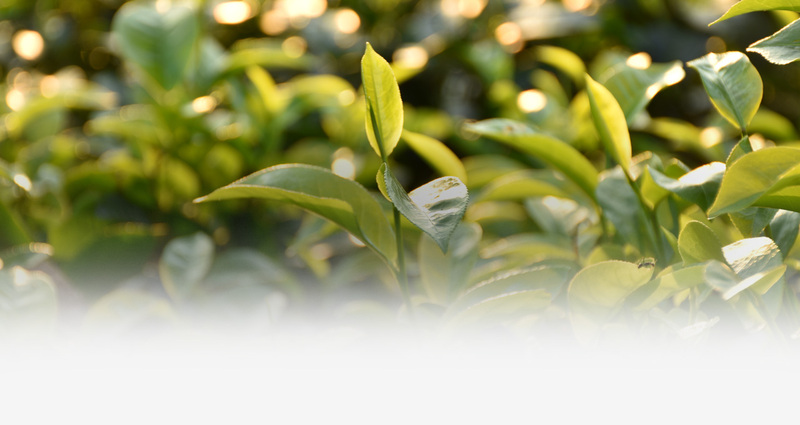 The Camellia Sinensis leaves are smaller and are more delicate than the Assamica leaves. 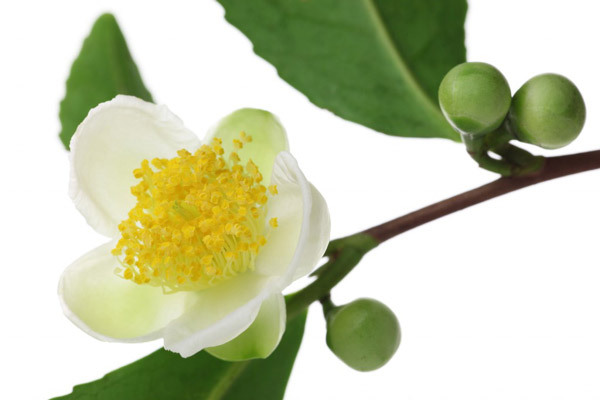 The Camellia bush is evergreen, with a small white flower and if left to grow wild becomes a tree that can span up to 20 meters in height. 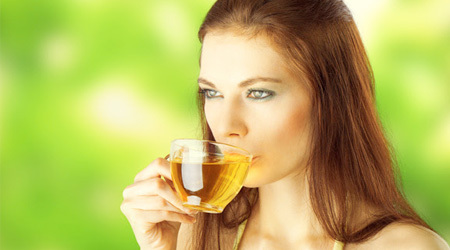 There are four main types of teas; Black Tea, Oolong Tea, Green Tea and White Tea. There are also nontraditional teas known as Herbal Infusions. 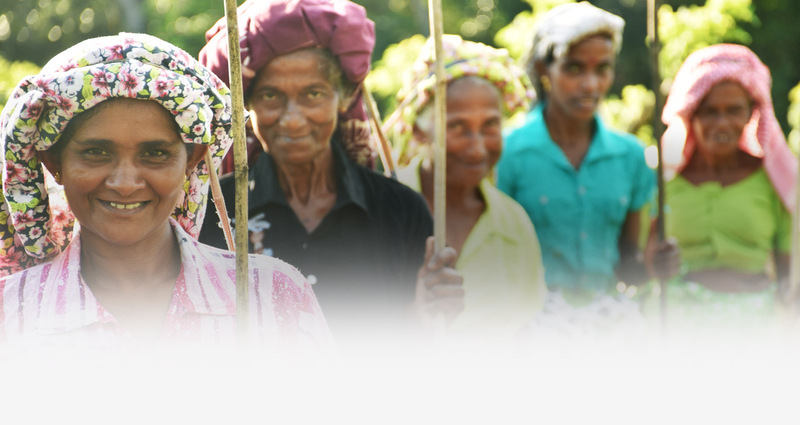 All teas are ‘plucked’ and the tea pluckers’ select the new shoots, typically the first two leaves and a bud. 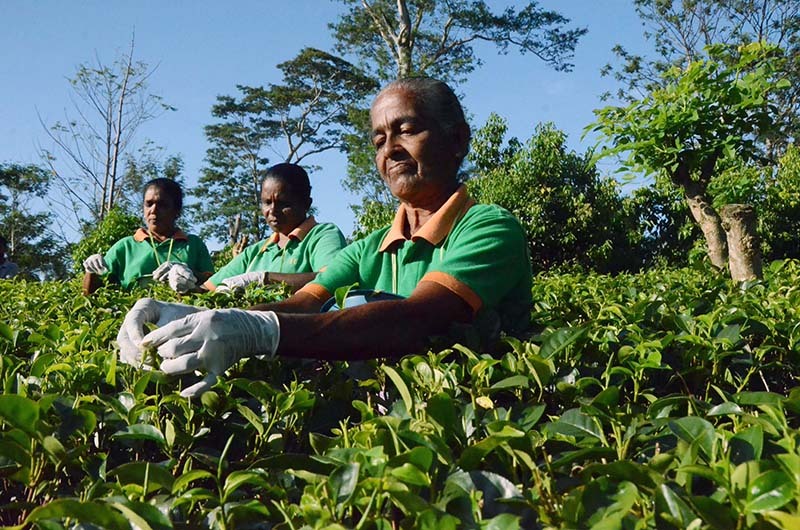 Tea pluckers’ recognize the exact moment the tea should be removed from the bush to ensure only the tender leaves are used to produce the finest tea. Oolong tea is semi-oxidized and therefore falls between black and green tea. There are many types of Oolong tea, ranging from very light, fragrant teas to dark coppery teas with the taste of burnt caramel.The leaves are wilted and are then shaken in baskets to lightly bruise the edges and left only until oxidization has set in along the leaves’ outer edges. Green tea goes through a slightly different process than black tea, depending on the type of green tea; the leaves may or may not be withered. The tea is then either steamed or pan-fired to stop the oxidation process. The leaves are then rolled and fired.The colour of green tea is retained as the heating process stops any chemical reaction with oxygen (oxidation) preserving its greenness. White teas are rarer than other teas and can only be plucked during specific times of the year. 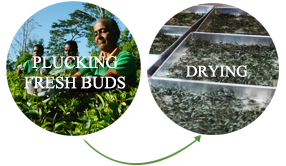 These teas are produced using only the first bud and top leaf from the new season’s tea bush. The tea is withered and then dried. White tea got its name due to the fine white downy hairs that cover the first bud. These teas are very pale in color, light and delicate in taste. Infusions range from adding the sweet fragrance of a jasmine to the cup – or any blossom, pieces of dried fruit, herbs or spices are added to the tea leaves for either visual or sensory effect. 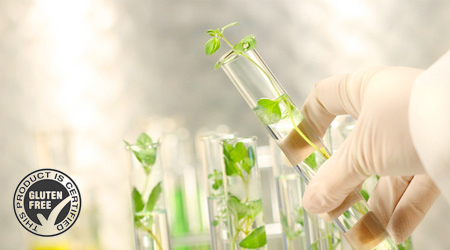 Natural Extracts are flavoring agents derived by extracting the essential oils from the leaves, fruits, blossoms, roots or other parts of a plant. These “essential oils” carry the distinctive scents or flavors. Some extracts can be obtained as simply as pressing a lemon peel to produce oil, while others require much more complex means of extraction, like soaking vanilla beans in alcohol. 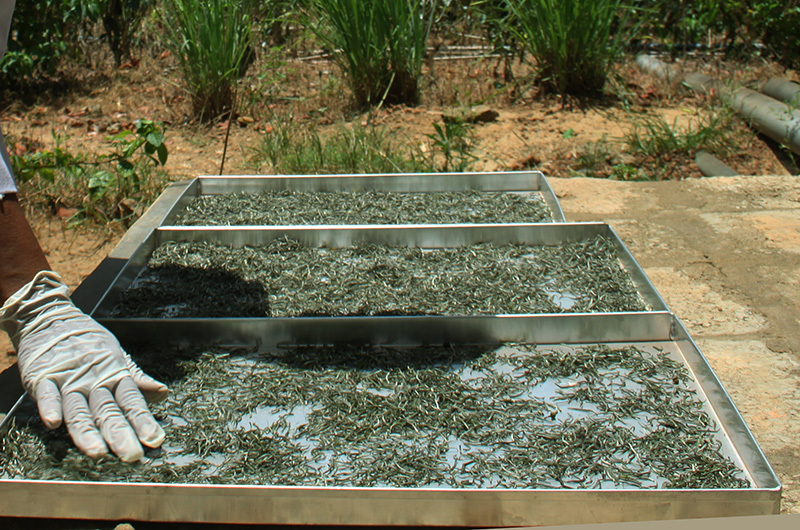 The process of tea manufacture begins with the tea leaves. 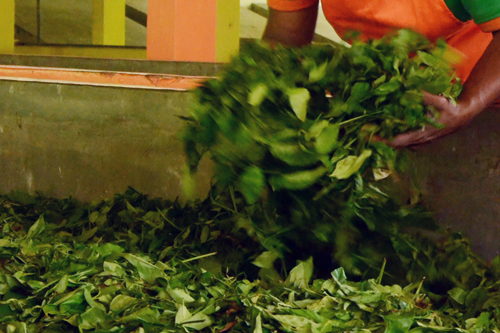 Staying true to the traditional method, fresh tea leaves are plucked by hand. 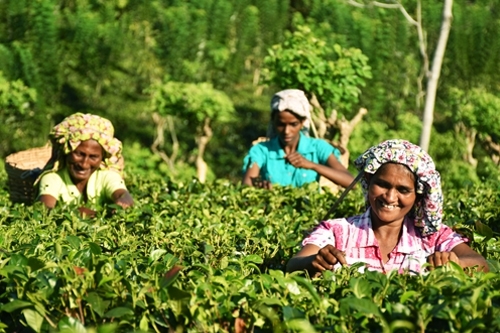 Although this is labour intensive and more expensive, it is essential for quality tea. Only the bud and the two tender leaves are harvested. This is known as fine plucking. The fields are plucked regularly, usually every five to seven days. The quality of the leaf determines the quality of the tea. Therefore, the carefully plucked leaves are sorted once more at the point of weighing ensuring that there are no coarse mature leaves and twigs that could affect the taste of tea. 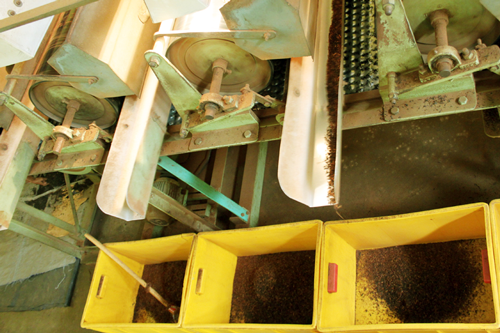 This is the most critical process in Black Tea manufacture. 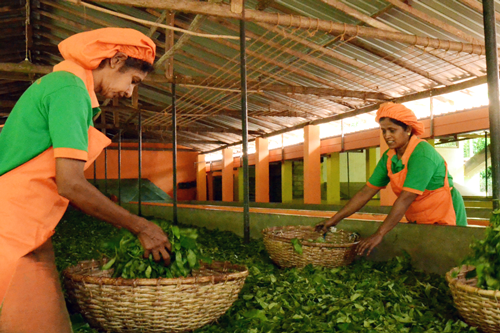 Withering makes the tea leaf pliable which prevents it from breaking during ‘rolling’. It also activates certain elements in the leaf essential for production of quality tea. Withering reduces the moisture content of the leaves. Leaves are spread out on withering troughs and a flow of cool air helps the process. Rolling is an art perfected over centuries. It brings out the flavour of the tea and gives the traditionally manufactured tea it signature curved appearance. Rolling also starts the process of oxidization, whilst coating the tea leaf with tea juices, and reduces the size of the leaf. Because it is important that a certain room temperature is maintained, rolling is usually done very early in the morning. Fermentation begins as soon as the rolling process is complete. 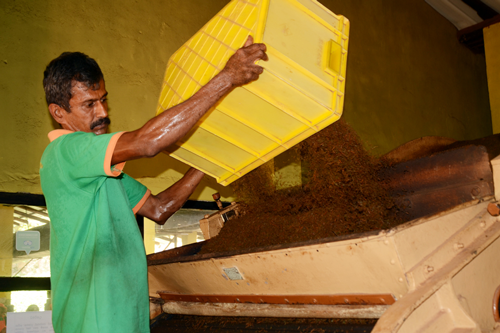 The rolled leaves, by now a coppery brown colour are fermented to make the tea liquor palatable. The fermenting leaves are called dhools. The fermentation period varies depending on the quality, colour and strength required. Roll breaking is also part of this process. Conditioned air is passed through the fermenting tea leaves to deactivate fermenting enzymes. This process is critical as otherwise the tea leaves will fast deteriorate affecting its quality. It also further reduces the moisture levels. The tea proceeds straight from the dryer to be sifted and graded. Tea particles are separated by their shape and size by sifting through a series of progressively finer meshes. The principal grades are Leaf and Broken grades with the former being made of larger and longer particles which yield a lighter liquor and the latter, smaller particles which produce darker and stronger liquors. 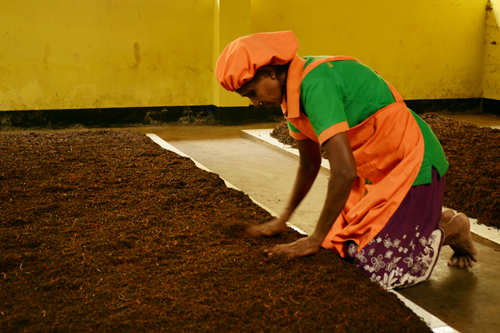 The step of packaging is grading the processed tea leaves by size, shape. At Herman teas, our highly skilled workers meticulously carry out the entire packaging process by hand under certified hygienic conditions. 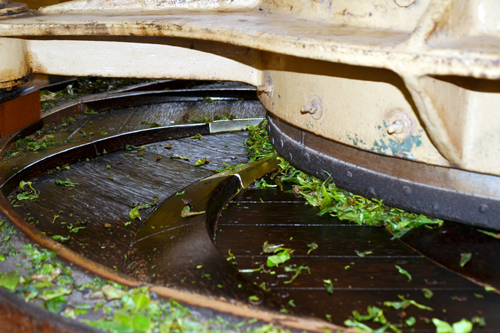 The leaves undergo a second cutting stage in order to get a higher proportion of broken grades. The undesirable particles are removed either by hand. Next, broken and sorted tea leaves are packed in airtight containers. This is done in order to prevent absorption of moisture which is the main cause of loss of flavor during storage. The loose tea is hand packed in corrugated paper cartons lined with aluminum foil, in metal tins, and in fancy packs such as metalized plastic sachets, or they are sold in tea bags made of special porous paper. At dawn as the first rays of sunlight shine through the tea garden, the unopened buds are hand picked meticulously from selected tea bushes of a particular variety. The tea buds are spread over black flannel surfaced trays and sun-dried. The tender bud is never exposed to direct sunlight. When the bud is dried to perfection the tea is delicately hand-packed in a controlled environment to ensure a high taste profile. Make sure your pot is clean.Warm the pot by swirling a small amount of boiled water in it. One teaspoon of loose tea per person and one teaspoon for the pot is about right, but add as much or as little to make it to the strength you like. 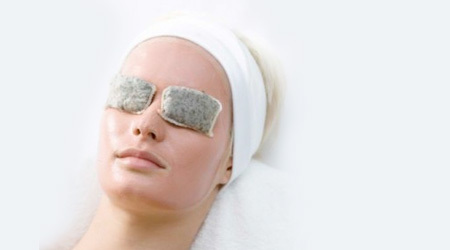 Some people believe that sugar masks the flavours in tea. Why not try a fruit tea if you prefer a sweeter taste? A tea cosy extends the brewing time and can make the tea bitter and stewed. A removable infuser or tea bags can help to get around this problem. Tea absorbs moisture and smells. To keep your tea fresh and avoid spoiling the flavour, keep loose tea or teabags in a air tight/sealed jar or tin. How long should I allow a Tea to brew? We recommend that you follow the brewing instructions provided on each product pack. And how long should I allow loose tea to brew? We recommend that you allow loose tea to brew in a teapot for up to five minutes. The general rule is: the larger the leaf, the longer the brewing time. Sapphire Oolong and Earl Grey need five minutes, while a smaller leaf tea will only need about three minutes. Both have their benefits. For many people, the ritual of preparing loose tea is a pleasure in itself, so this contributes to the enjoyment, while teabags are more convenient. 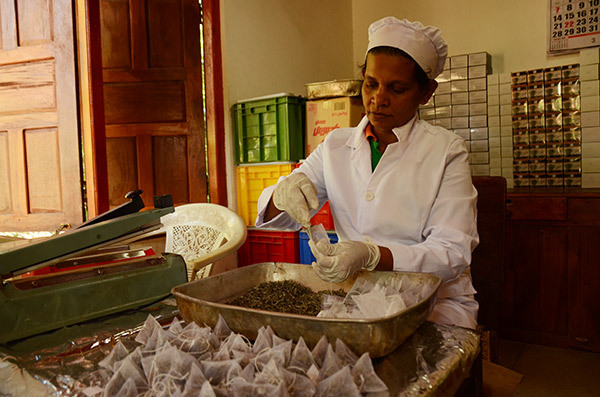 At Handunugoda, the teas used for teabags are blended to be similar to our loose tea products. The leaf size is different but the quality in the cup will be the same. Historically, the ‘milk in first’ rule was to protect the fine bone china it was served in – it’s a very individual thing. Sometimes I get an oily residue around my cup and on the surface of my tea – what is it? Because of the small leaf size in a tea bag, the tea can release some essential oils which can sometimes produce a residue. However, this brown residue occurs most often in areas with hard water, so a carbon water filter will reduce this considerably. To maintain your fluid levels, you should be drinking at least 1.5 litres of fluid a day, even more if you lead a hectic lifestyle. Tea is an ideal fluid replacement, best enjoyed little and often.The eating-out tip: Finish your meal with a pot of tea – especially if you’ve had a glass or two of wine with your food. Tea is a great way to replace lost fluids and wind down at the end of an evening. Tea contains a group of compounds called flavonoids recognized for their antioxidant properties, some members of the Catechin group (epicatechin gallate and epigallocatechin gallate) are suggested to have more powerful antioxidant properties than Vitamin A and C in vitro experiments. Handunugoda teas do not contain genetically modified raw materials or ingredients derived from genetically modified raw materials. You can therefore keep enjoying our products with complete peace of mind. All our teas, herbal infusions and naturally flavoured teas do not include gluten ingredients. The average caffeine content of tea is around 50 mg per cup. Our herbal infusions do not contain any caffeine. 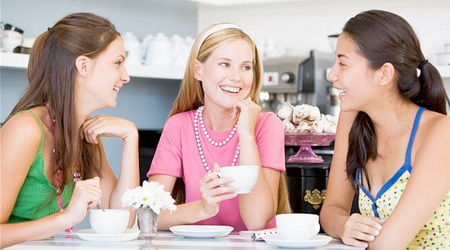 There are many types of tea containing different amounts of caffeine and the caffeine content of the beverage may vary widely depending upon brewing method and preferred strength. In common with all food stuff, an excessive intake of caffeine is not recommended. In the case of caffeine, ‘excessive’ is generally regarded as being above 500 mg/day, equivalent to about ten cups of tea per day with average caffeine content of 50 mg per cup. Pregnant women are however recommended to limit their daily caffeine intake from all food sources to a maximum of 300 mg/day. As with every food, there may be a small minority of individuals who have specific issues with caffeine. These individuals and anyone else with concerns should consult their medical practitioner for individual advice.